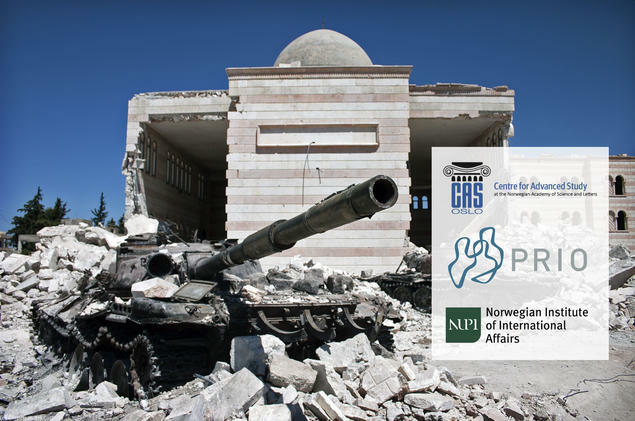 The Centre for Advanced Study (CAS) is proud to welcome two new partner institutions: the Norwegian Institute of International Affairs (NUPI) and the Peace Research Institute Oslo (PRIO). As employees of official CAS partner institutions, researchers at NUPI and PRIO will now be eligible to submit project proposals and assemble and lead CAS projects. If they are chosen to lead a CAS project or participate in one as a fellow, the researchers will receive extra sabbatical leave from their home institution during their stay. Additionally, junior academics at the two organisations are eligible to become Young CAS Fellows. The partnerships with NUPI and PRIO are the first of their kind for CAS. The two organisations are the first research institutions to partner with CAS, joining the Centre’s 10 partner universities and university colleges in Norway. NUPI (in Norwegian: Norsk Utenrikspolitisk Institutt) focuses on foreign policy. The institute, which is celebrating its 60th anniversary in 2019, is organised into four main research groups: Security and Defence; Russia, Asia, and International Trade; Peace, Conflict, and Development; and Global Order and Diplomacy. Counting part-time and guest researchers, NUPI has about 80 employees. PRIO is also turning 60 in 2019. The institution houses more than 50 researchers, whose projects are organised into 15 research groups spanning topics such as conflict patterns, migration, and violent organisations. PRIO also hosts the editorial offices of the Journal of Peace Research and Security Dialogue, as well as the editors of International Area Studies Review and the Journal of Military Ethics. Researchers at NUPI and PRIO are immediately able to participate in CAS projects and enjoy the benefits of being employees of CAS partner institutions. They will first be able to become Young CAS Fellows during the 2020/21 academic year, and lead CAS projects during the 2022/23 academic year. The application process for both programmes will begin in fall 2019. Learn more about applying to CAS.